Bangalore is birthing restaurants almost every day because our craze for novelty is insatiable. Being the cosmopolitan city it is, diverse influences from all the people who call it home, has made it the most exciting city on the culinary map of India. People here are willing to experiment with their food and that is the single biggest factor supporting restaurants that specialize in novel cuisine – be it Korean, Japanese, Bengali, Chettinad, Vietnamese or Persian! North-Eastern Cuisine is exotic and adventurous and mostly inaccessible, because there are not many places that offer diners an authentic experience. Part of the problem is that the cuisine itself relies on the provenance of ingredients to give it its unique taste. The reason why replicating this cuisine at home results in such varied differences in taste for us, is because the ingredients are so hard to come by. Curry & Things – a weekend takeaway concept restaurant, offers home-cooked North Eastern fare (Assamese, Naga, Manipuri and more) with authentic ingredients directly sourced from the NE. A dream venture for two friends and foodies – Elika and Mohsina, this is an extension of their passion for food and home cooking. We were part of a very special curated meal this Saturday that gave us a taste of things to come. 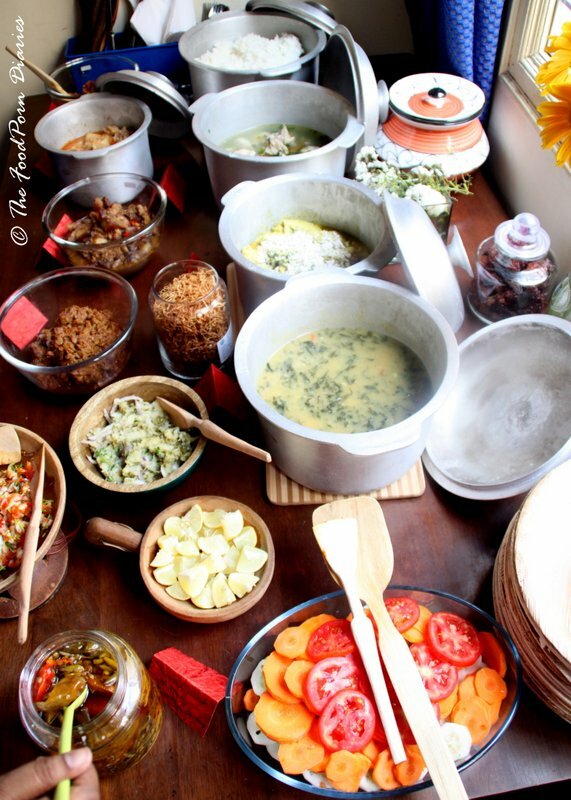 Here’s a peak into the fabulous NE food that graced our plates. 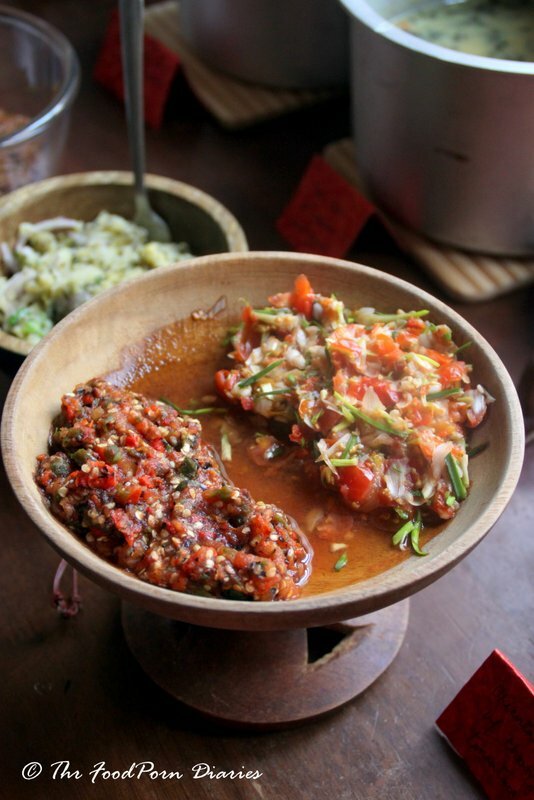 Chilly and Tomato Chutney – Fresh chilies and tomatoes charred and mixed with dry fish. 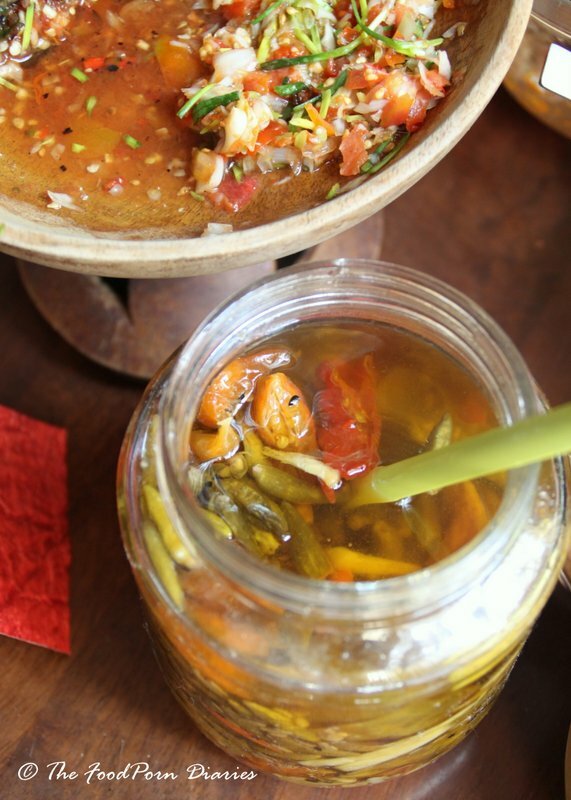 Oriental Chives Chutney – Fresh oriental chives with cherry tomatoes and dried king chillies. 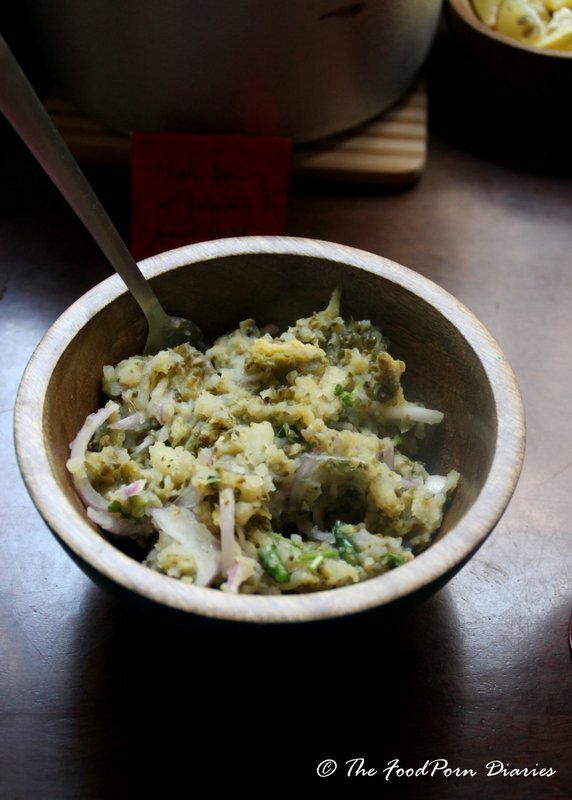 A beautiful fresh rendition of an unlikely combination of Boiled Bitter Gourd and potato chutney with fresh onions and mustard oil. I was apprehensive about this one – Chicken innards with Naga Chilly. But honestly, it was just like a spicy liver pate! Dreaming of it on a thick slice of toasted bread. 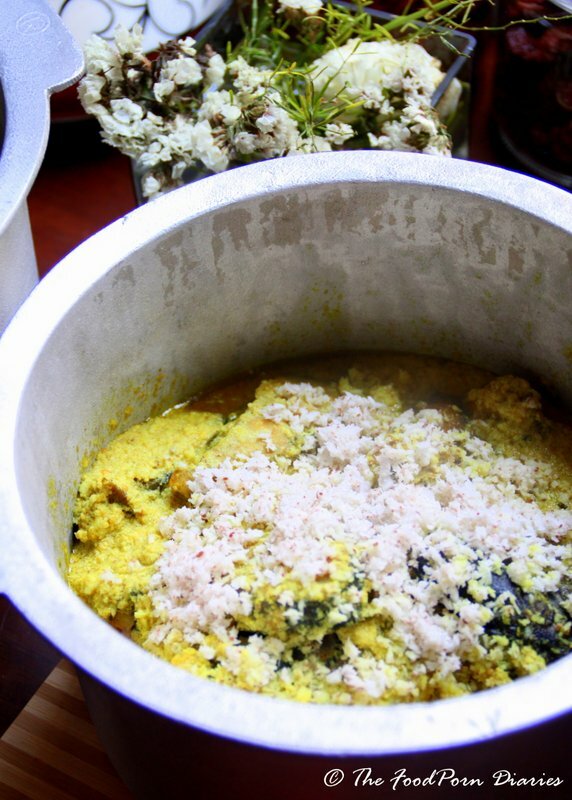 Akhuni, apart from the famed Naga Chilly, is integral to Naga cuisine. Made of fermented Soya beans, this paste has a strong ‘unique’ smell. However, the fermented beans are what add magic to the food by giving it umami! The Smoked Pork with Akhuni needs to be experienced, as I don’t really have the right words to describe the taste. A lame “I ate three helpings” should suffice for now. The Smoked Pork with Birds Eye Chilli and Cherry Tomatoes was on my hit list the moment I set eyes on it. 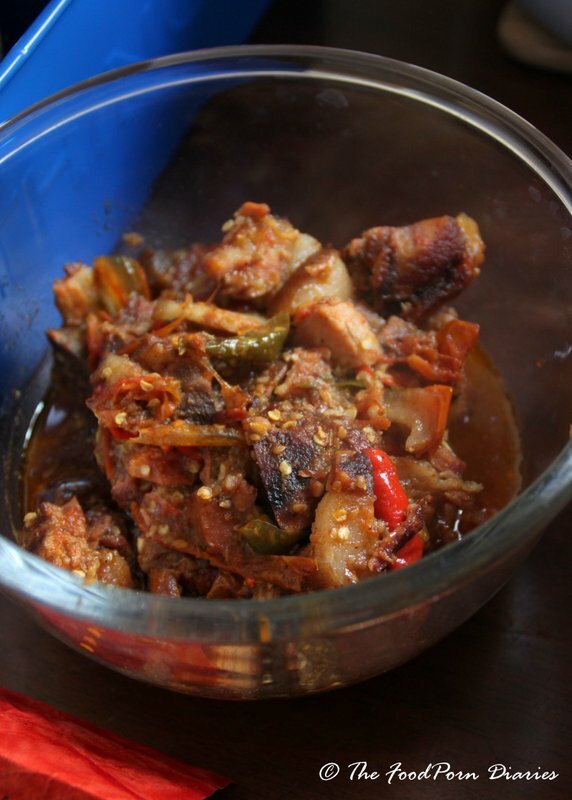 Traditionally Naga Pork is smoked by placing the meat on wooden grills directly over the kitchen stove area, so that the various cooking smells get slowly absorbed into the meat over the course of weeks. This type of smoking results in a more intensely flavoured meat than the regular smoked meats you get in the market. Having tried this before at a Naga friends place, I was already in love with it. But this version just blew my mind (literally!). The beauty was in the way the fat has absorbed the smokey flavour as well as the heat from the chilli. Just brilliant! 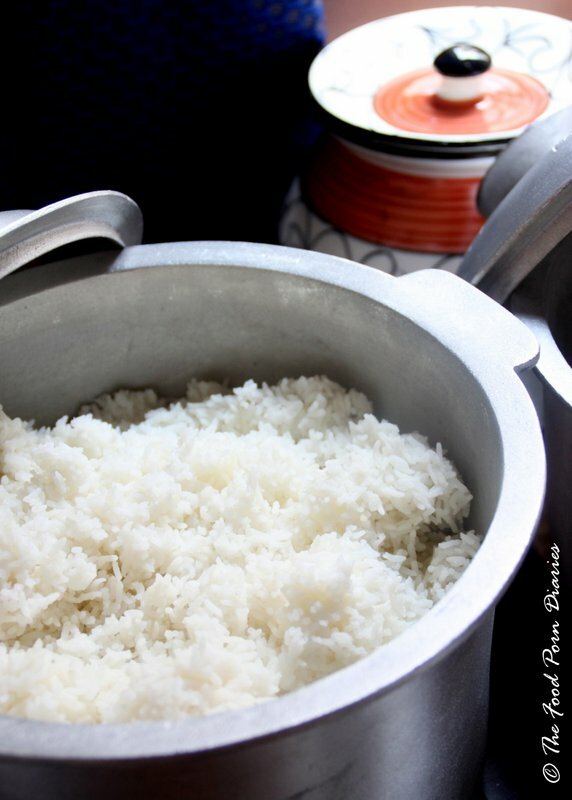 Steamed Rice is the staple accompaniment to NE cuisine. 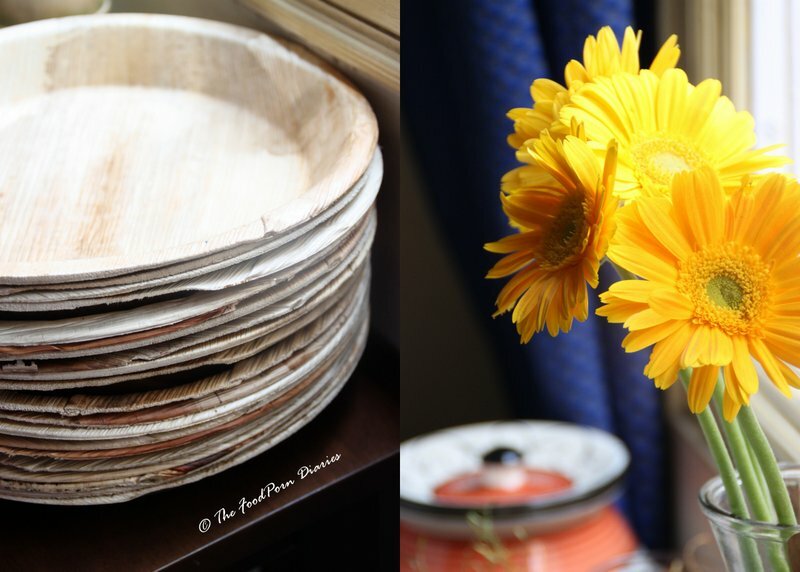 While Roti’s are making a slow entry into their kitchens, it is still rice that rules their hearts and plates. 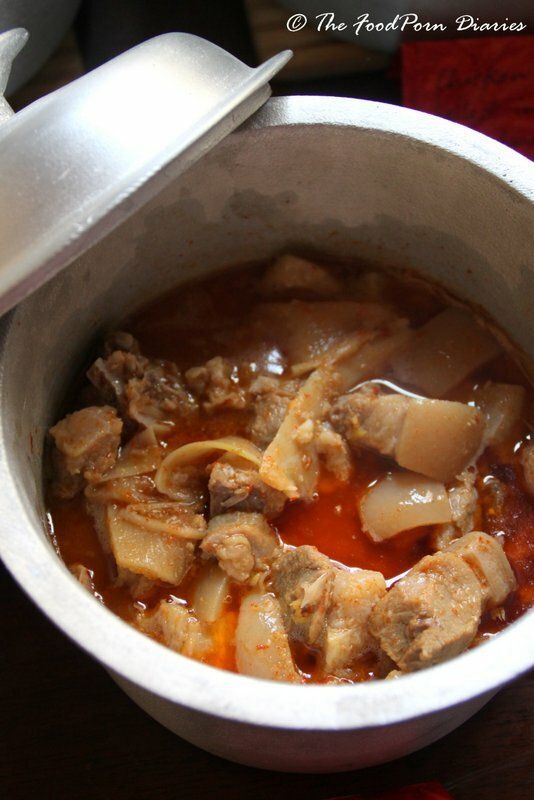 Pork Curry with Fresh Bamboo shoots had Naga Chilli powder to make our noses run! 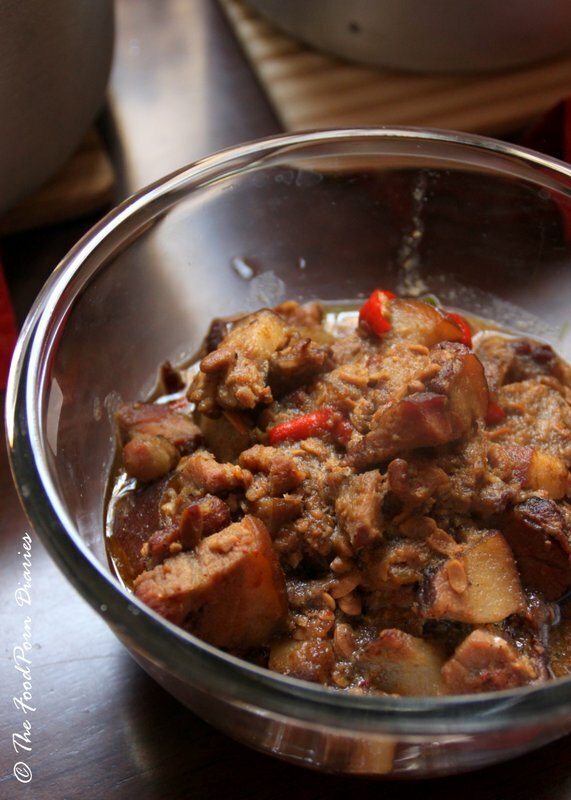 It’s a good thing the bamboo shoots are sweet and succulent – they balance the heat from the chilli quite well. 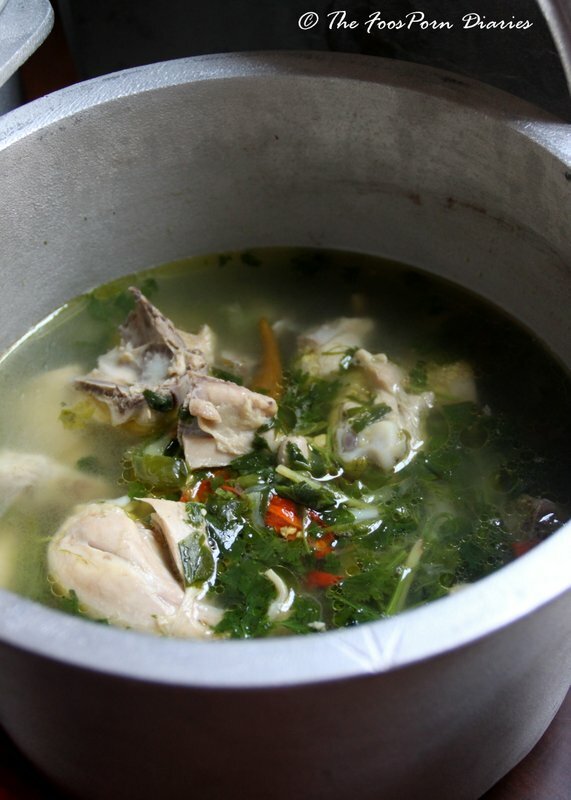 The Boiled Chicken with fresh herbs was a lesson in simplicity and elegance. It will be fair to say, this was my favourite main course of the day. The fresh herbs, including spring onions and slices of ginger made this the best Chicken Soup-type curry I have tasted in my entire life. I have begged the girls for the recipe – crossing my fingers. They had Dal. How can any Indian household not have dal, right? The legume is an integral part of our identity. But this dal took it up a couple of notches with some greens in it. Not just any greens, but a special type of edible Fern! 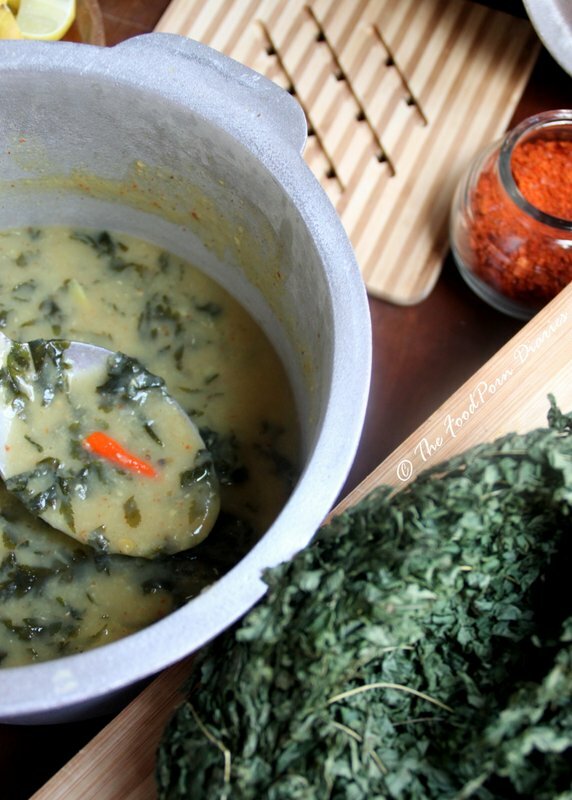 The papery dried fern is re-hydrated while cooking the dal and lends it a lemony tang. They also beefed up the Dal with potatoes and dried fish. Now that’s a pimped up version of the staples. 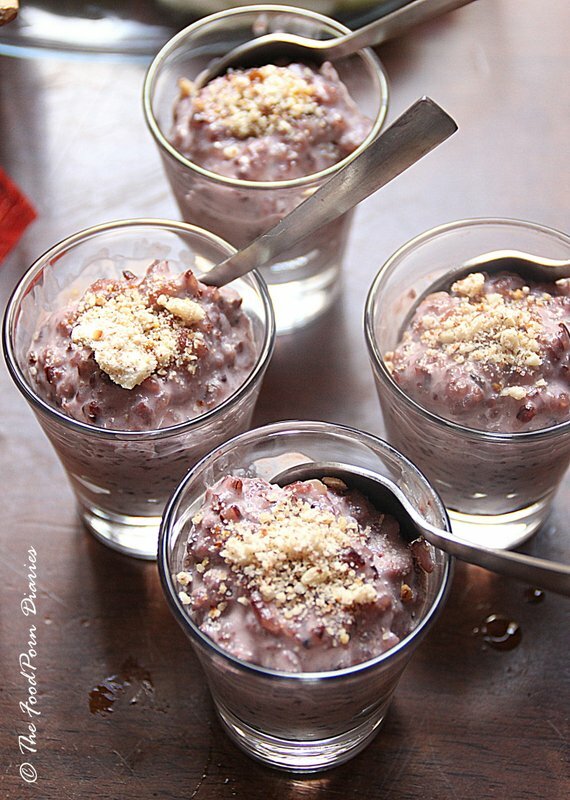 Though NE cuisine is not very famous for its desserts, they do make a lovely Black rice Pudding. Cooking the rice with the milk lends the dessert a lovely purple hue and decorated with ground almonds, it’s a perfect end to the exotic meal. The Curry & Things kitchen, will be operational by the end of March and diners can opt for home delivery or take-away. A meal for two will cost you Rs.700 – Rs.1000 and you will need to place an advance order during the week for the same. As both the chefs have day jobs, this will currently operate as a weekend only service. 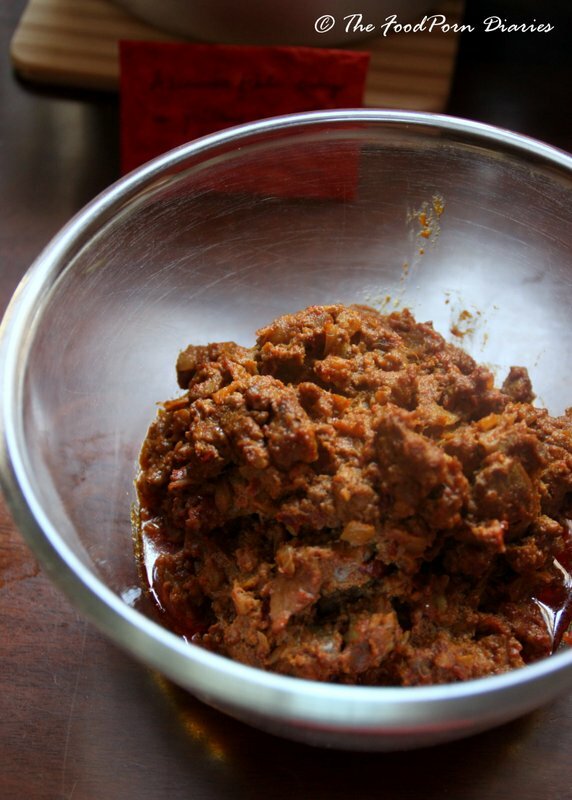 They will also be introducing traditional pickles, all or mostly ‘mom-made’ (beef, pork, fishes, chillies), preserves & Assamese snacks too (the pithas, laroos, til laroo, muri laroo) as a part of their offering, for sale very soon. Since their friendship started around a food meet, they intend to host foodie meets on a monthly basis as well, with curated menus. Here’s wishing the two ladies, who want to increase the food lovers circle, meet new people via food and keep their cuisine alive in the city – all the very best!